Home > Arts > Fringe File 2018 #11 – Denzel Belin on The Breakfast Club: The Musical! 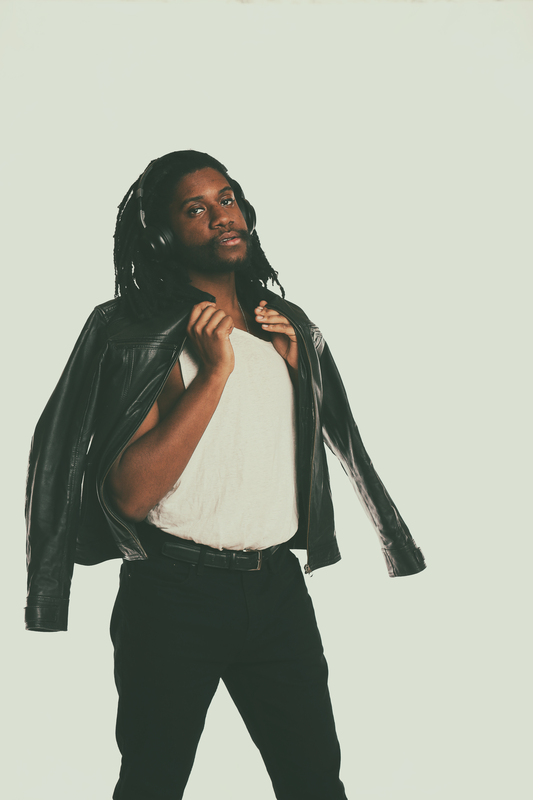 Fringe File 2018 #11 – Denzel Belin on The Breakfast Club: The Musical! The cast of The Breakfast Club: The Musical! in a promotional photo replicating the classic movie’s poster. The Breakfast Club begins with an old dramatic standby. You isolate a group of people in a room, you have them talk, and eventually they exchange truths about themselves and come to new understandings. William Saroyan and Eugene O’Neill have been here before, but they used saloons and drunks. The Breakfast Club uses a high school library and five teenage kids. So begins Robert Ebert’s 1985 review of The Breakfast Club, which went on to become a box office smash and a must-see coming-of-age film for innumerable teenagers. This year, at age 33, the film is moving into middle age and mockery, with a musical parody created by Fred Cheng and Jon Pumper and staged at the Minnesota Fringe Festival by FredPictures [sic]. 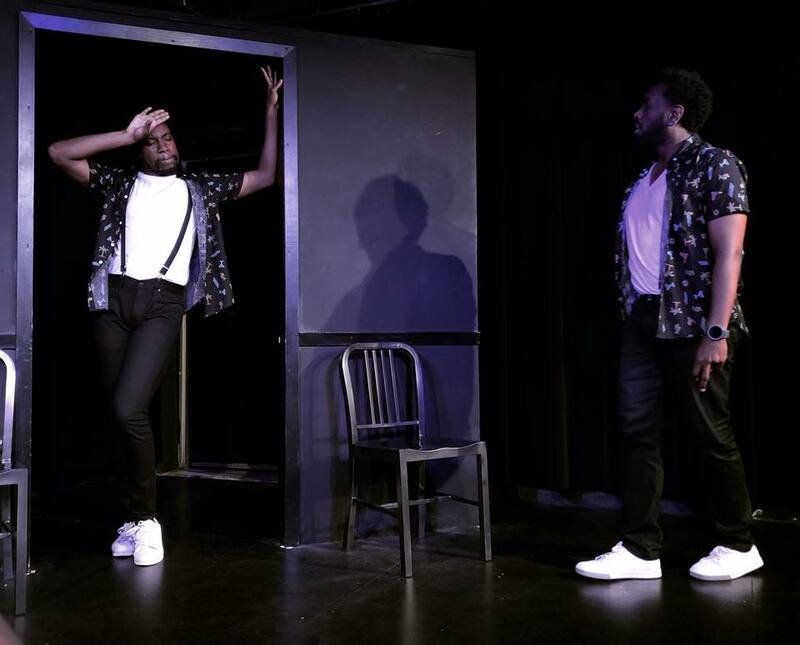 The Arts Reader spoke to Denzel Belin, one of the actors in this Fringe musical, to chat about his work on the scripted and improvisational stages. 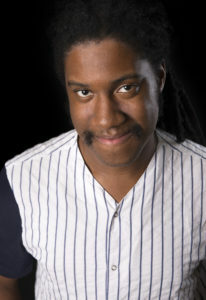 Actor, director, and improviser Denzel Belin. You wear a few hats around the stage. Fringe shows are famously on a budget and have people wearing many hats. Which ones are you wearing for The Breakfast Club: The Musical!? I am an actor in The Breakfast Club: The Musical!. I play Alvin, which is the role of Allison from the original movie. If you can’t remember which one she is, she’s “the basket case” with dandruff. You’re from Seattle but went to school at St. Olaf College. At what point did you decide to migrate away from the land of coffee more permanently to the Twin Cities? I went to St. Olaf College after applying for early decision…without seeing the campus. In fact, when I got accepted, I had to pull out a map to remember where the state was! After graduating, I realized that I had more contacts for possible theater work in the Twin Cities and the rent was much cheaper, so I decided to make the move. The Twin Cities have treated me very well. How long did it take you to do your first show in the Twin Cities? What was your role and what company was it with? Actually, the only things I had planned upon graduation was an internship at Mixed Blood and a role in the final Frontier Festival produced by Gadfly Theatre. It was a 2-person, 1-act play called Gone that Chava Curland directed. It co-starred Kira Pontiff, who I see sometimes on the light rail to St. Paul. It was an amazing experience working with these two powerhouse artists and I would do it again (and in the case of Kira, I did – in last year’s Fringe). When did you first hear about the Minnesota Fringe Festival? When did you do your first Fringe show, and what was it? I remember learning about it in college but didn’t think too much about it. I had school work, a portfolio to build, and I was in Northfield without a car. In the summer of 2015, I moved to a studio in the West Bank neighborhood for a few months. I remember seeing four Fringe shows with a 4-show student pass, which really put the Minnesota Fringe Festival on my radar. During the next year, I was able to expand my network and work more as an artist, so in 2016, I acted in my first Fringe show and saw shows whenever I could. That Fringe happened before the election, and I was acting in a show called: Trump’s America: It’s Hell. I got to kiss a boy at the end of that show. I also get to kiss a boy at the end of The Breakfast Club: The Musical!. I’m very lucky. Denzel Belin (left) with John Gebretatose in a Brotha Brotha Improv show at the Twin Cities Improv Festival. Photo by Sally Foster. For a certain slice of Americans, The Breakfast Club is an important part of the pop culture tapestry of their childhood. For a younger generation, it’s an old movie. What’s your pre-musical experience with this film? Uff, I guess I am in the middle of these generation gaps then, because I would not say that it is old – but it does show its age, like an uncle so still wants to go to “Lake Calhoun”. My pre-musical experience with the show is that I’d watched it once and honestly didn’t think too much of it. I grew up where in high school smart phones were becoming big and Facebook was prominent. After being approached with this project, I looked up the movie again and found it more interesting as an adult than I did as a kid. It is awesome to be a part of a high school story that doesn’t involve cell phones and cyber-bullying and lo and behold, it is still relevant and you can see yourself in it. I think I needed the distance away from actually being in high school to see elements of my own personal high school journey in The Breakfast Club. How did you end up in this show? I feel this team is a Breakfast Club where instead of detention bringing us together, it was Fred, our director and producer. When Fred approached me with it, I had really enjoyed working with Fred in the past with The Theater of Public Policy and was excited because of that. My good friend, Jon Pumper, is also in the show and wrote the music for The Breakfast Club: The Musical!. 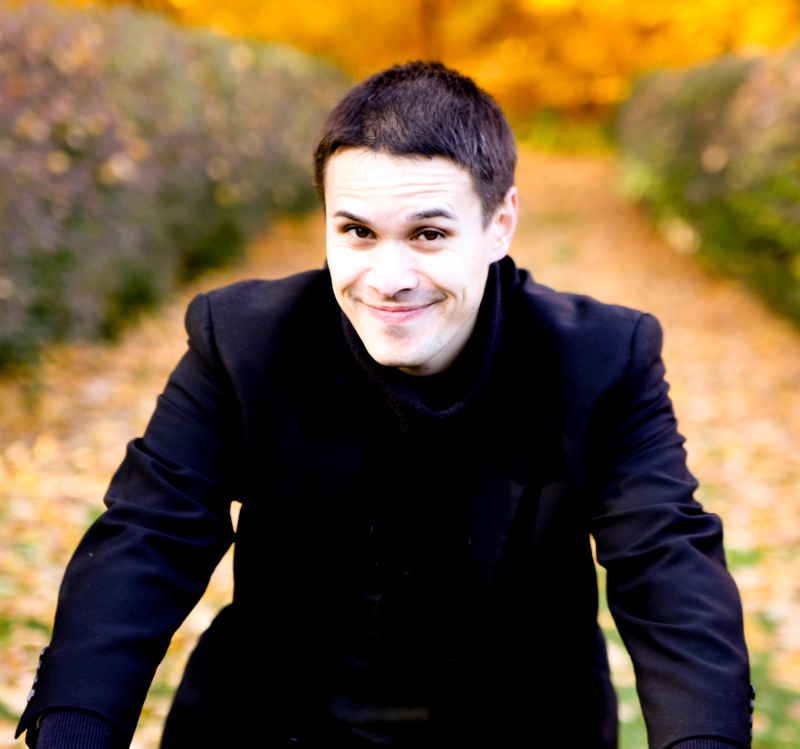 He’s the music director at The Brave New Workshop, where I work as a writer and performer. I knew that if Jon’s schedule could work with the show, mine could too…we have the same call times for the BNW. When Fred offered me the role of Alvin and told me about who else was in the cast – all wonderful people who I have never gotten the chance to work with – I was hooked. Many actors work some odd jobs over the years – some onstage, some off. You teach quite a few improv classes around town; when do you have time off, and what do you do when you have it? Thank you for not making me list all the different things I do because that would take a while! Honestly, I don’t have too much time off, but when I do, I try and see people I haven’t seen in a while, especially my theater friends. It is always amazing to catch up with people and remember the love that exists within the Twin Cities theater community. But, if I am tired of people…I have a loving boyfriend, his cat, and a lot of video games I want to finish, all in the comfort of my apartment. What’s a favorite aspect of The Breakfast Club: The Musical!? The music! I have to admit that I am very enamored with Jon Pumper as a musician and he is a rising YouTube star as well (at least to me – check it out HERE). It has been awesome seeing the different beats of the movie get translated into song. For Alvin, I feel his weird and complex journey throughout the show is conveyed in all of the different styles of music he sings in. Sometimes it’s Michael Jackson, sometimes it’s Prince, and sometimes you just want a good song that makes you feel emotional. Tell me about your character in the show. Alvin is Allison in the movie; the freak, recluse, basket case, or whatever other people called her. What I have loved about figuring out Alvin is how I embody these characteristics for me. As a black, queer man, what does it mean for me to be the weirdo of the group? How do I navigate a budding attraction with a jock? Alvin is both the loudest and the quietest in the room and that dynamic has been fun to play with. How would you describe the experience of seeing The Breakfast Club: The Musical!? Who should come see it? People are going to have an awesome time at The Breakfast Club: The Musical! The songs are super catchy, the staging is fun and gives many nods to the source material while still feeling unique, and this cast is one of the best I have had the chance to work with. I think some people may even want to see it again! If you like Fringe musicals, I would highly suggest adding this to your list. I think people who love the movie and watched it 50 times will love this musical. I think people who have never heard of the movie will love it. Honestly, with the updates that we made, the story feels fresh and not a relic of the 80s and if we are being honest, many John Hughes movies contain things that are problematic in the contemporary landscape of issues. What’s coming up for you after Fringe? I have a lot of regular performance opportunities that I am grateful for, such as The Brave New Workshop, The Theater of Public Policy, and Blackout. After Fringe, a show I produced and directed will continue its Friday run at HUGE Theater (Small College Town) and in September and October another show I produced and directed will have a run at HUGE (Interludes). I also was awarded a Next Step grant through MRAC and will be using that to take online sketch classes and traveling to network and shadow at improv and sketch comedy theaters across the United States, starting with the Boston Improv Festival in September.